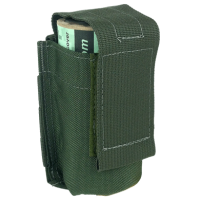 Our American Made Smoke Grenade Pouches are PALS/MOLLE compatible and designed to fit Sport Smoke Tactical and BattleField Smoke Grenades. 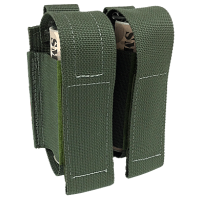 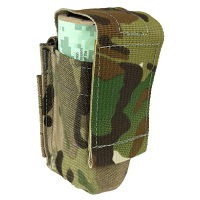 These pouches feature Mil-Spec webbing, reinforced bar tack stitching, and 1000 Denier Nylon fabric for excellent durability and light weight. 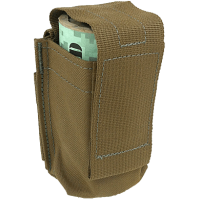 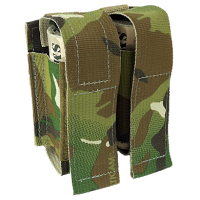 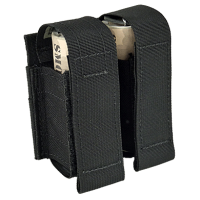 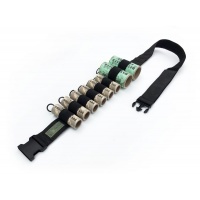 The modular design allows for the quick addition or removal of extra pouches to accommodate various game scenarios and smoke grenade load-outs. 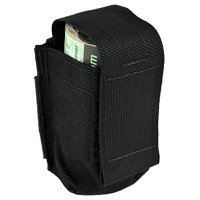 Sport Smoke Pouches are MADE IN AMERICA and Berry compliant. 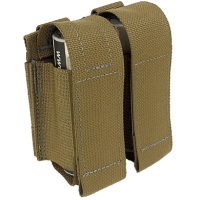 Available in Black, AOR1 Desert Digital (used by US Navy Seals), and Multicam (used by US Special Operations Forces).